A prusik hitch is an invaluable tool when rock climbing, traveling across glaciers, climbing ropes, etc. However, there are a range of options when it comes to prusik material and of course each has its strengths and weaknesses. I review three of the more common options below in a long winded rant but threw in a few photos to keep you going. Various lengths and diameters of prusik cords, some better than others. The key here is to select the right cord as not all accessory cords are created equal. 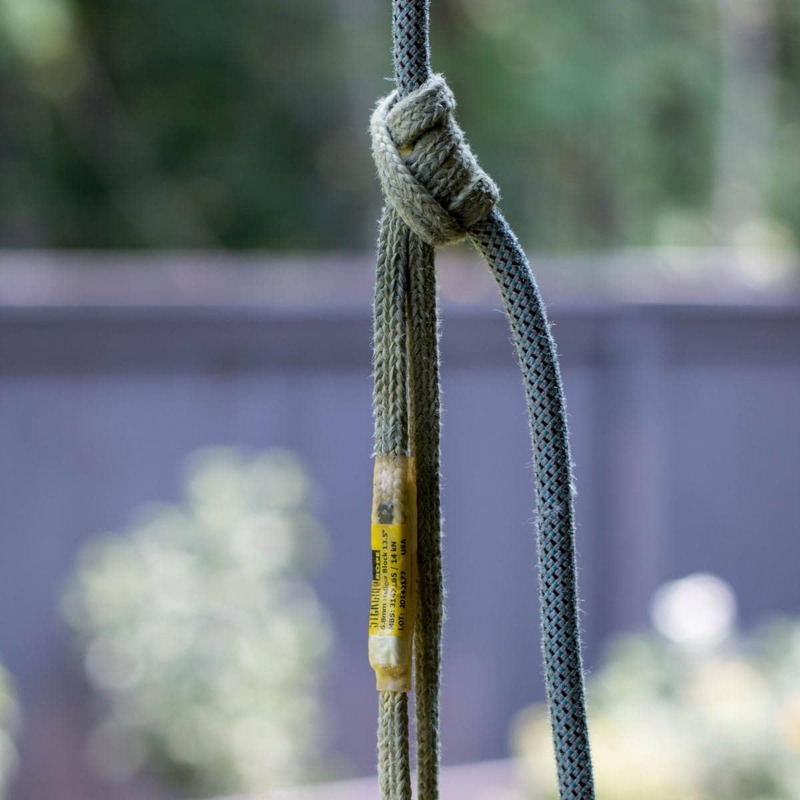 In general you want about a 3mm difference between the diameter of the rope you’re using and the accessory cord material but don’t really want to go much thinner than 5.5 to 6mm. This means that the cord diameter should roughly fall in the 5.5-7.0mm range. Why does it matter? 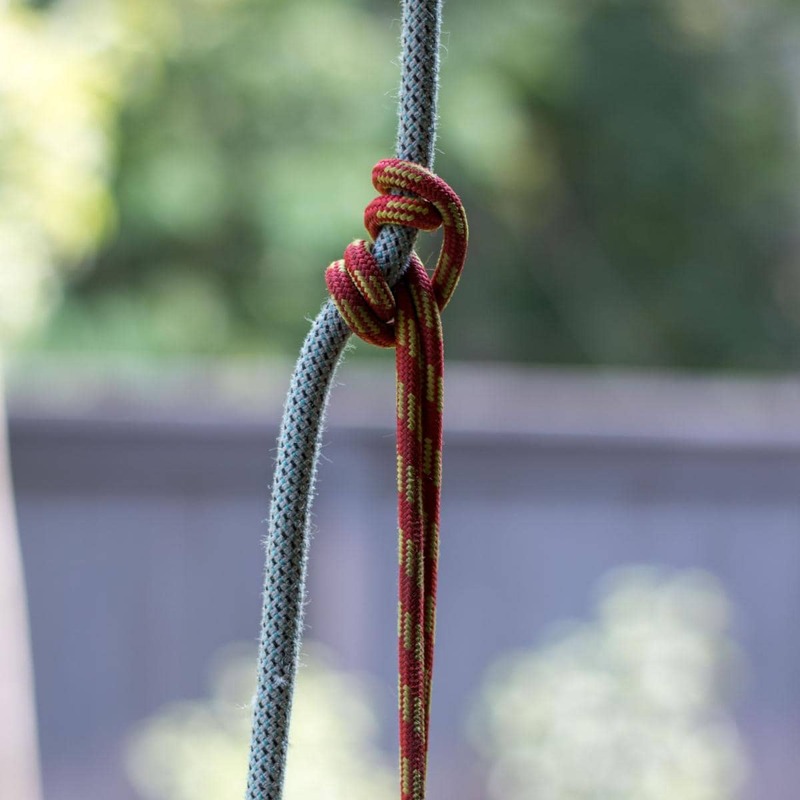 Well if you go too small on a thicker rope the prussic hitch can be overly grabby and difficult to manage or move once loaded. Too thick and the opposite happens, the hitch doesn’t want to grab and more wraps are required. A double wrap prusik, I generally use a double wrap to back up a rappel and a triple for everything else but it depends on the cord-rope combo. Now that we know what size we want the other key aspect is how supple the cord is. Ideally you want something that folds well: take a bite and squish it between your fingers. If the two sides lay flat on one another it’ll make an excellent prusik. If there’s a large eye at the bend it won’t grab well, keep shopping. The below photo illustrates this well. 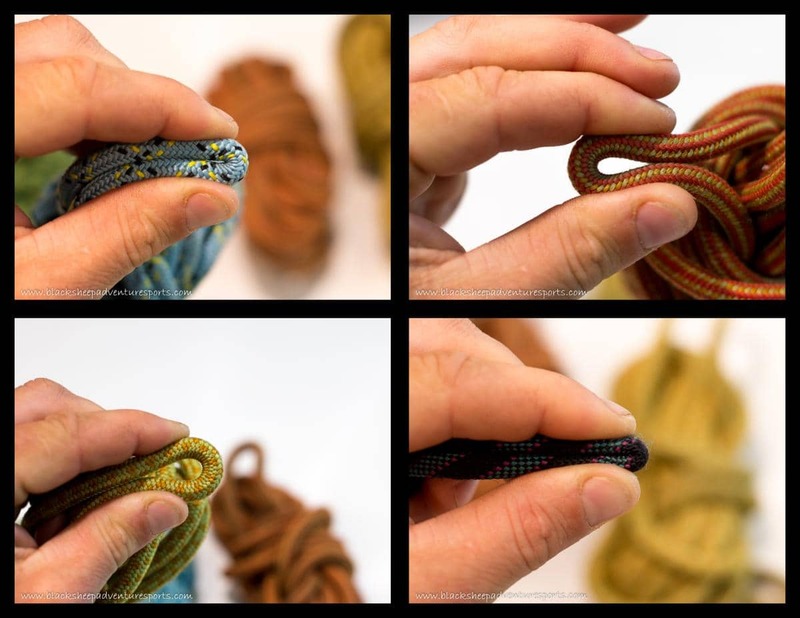 The key to selecting a good prusik cord is to find something soft and supple. The smaller the eye when you squeeze a bite the better. The tensile strength of accessory cord varies significantly depending on the manufacturer and diameter but in general falls in the 7 – 10 kN range for 6.0 – 7.0 mm cord. This is reasonable for building anchors if the cord is doubled and more than sufficient for a personal backup. 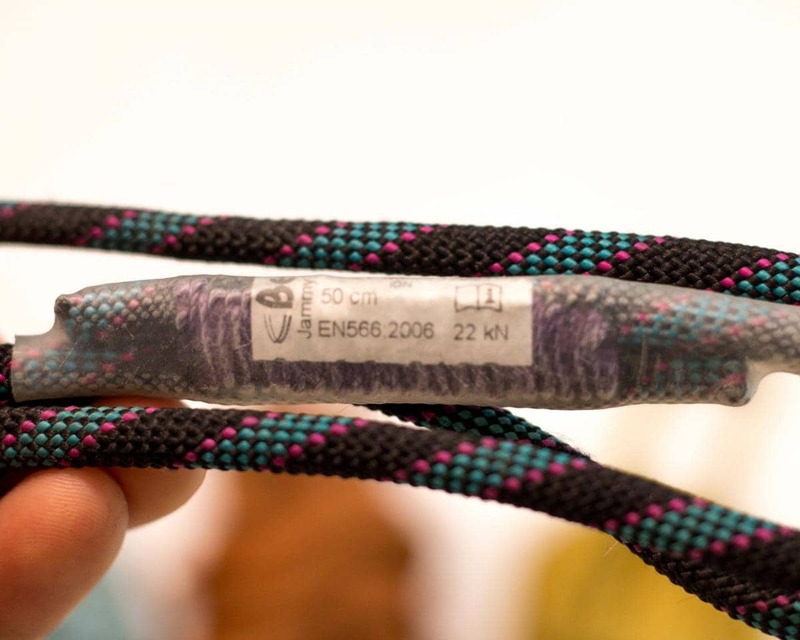 Cons: Highly variable performance, strength and durability depending on the specific cord. Some work great while others don’t. Many gear stores carry inexpensive cord which is usually the stuff that doesn’t work very well, it pays to shop around. Overall: If you can find a nice supple cord in the right diameter, accessory cord works great. It’s also the only option if you want a longer (5m) prussic cord. Local shops are usually the best places to look instead of the big chain stores where the buyers aren’t necessarily climbers. Here in Squamish, Climb On has some great cord. There are a variety of sewn prusik cords on the market from different manufacturers but I’m going to focus this review on my favorite: the 5.5mm diameter Beal Jammy. The Jammy is basically a sewn cord made with an aramid core and polyamide (nylon) sheath. This aramid core does not melt, unlike the nylon core found in accessory cord, and is abrasion resistant. The Jammy is also very supple which makes it really easy to work with and allows it grabs ropes over a wide diameter range. 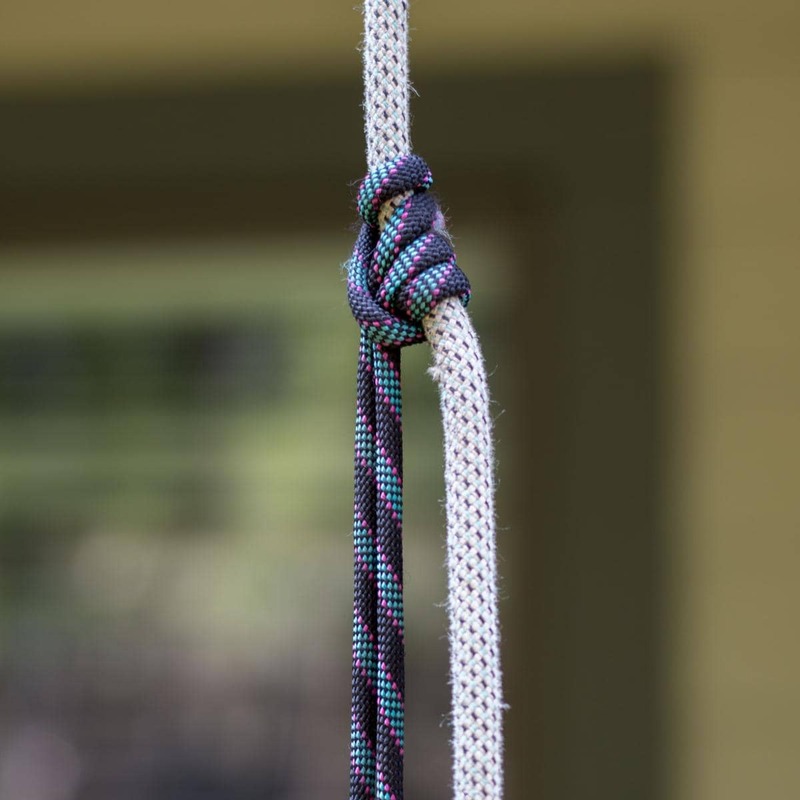 When working with single ropes a double rap prussic hitch works well as a personal back-up, with twin or double ropes a triple wrap may be needed. It’s also very easy to release after it’s been loaded. I find that the supple Jammy works great on a wide range of ropes, likely because it’s very soft and supple. The Jammy comes in three lengths: 35cm, 50cm and 60cm and has a breaking strength of 22kN. The 35cm length works the best for a traditional prussic, the 50 & 60cm are good for a french prusik or klemheist. If you’re shopping around for a sewn cord stay I would suggest sticking to a maximum 7mm diameter for recreational rock climbing. 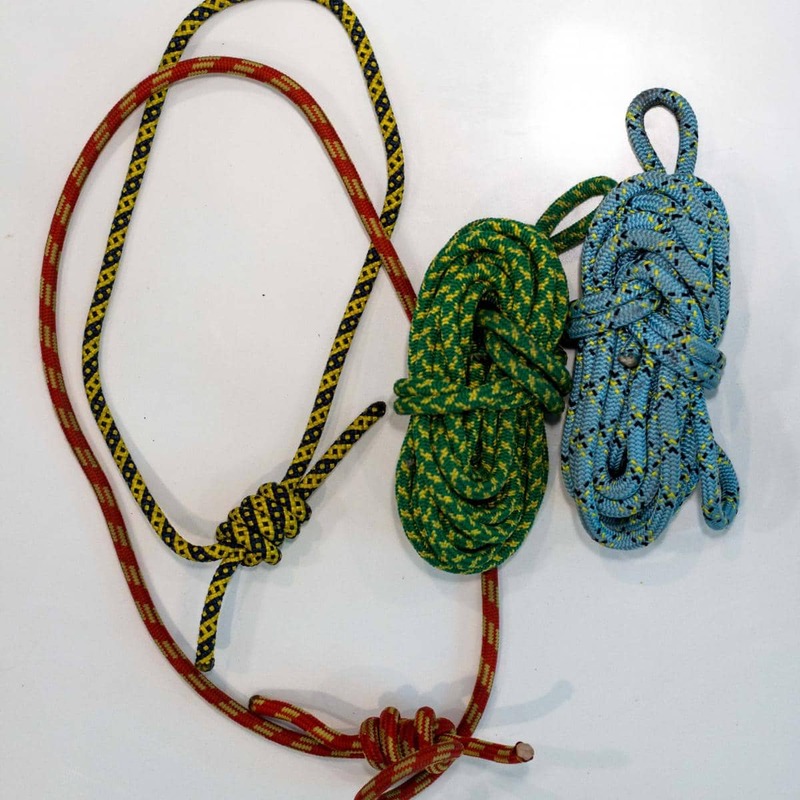 There are a lot of 8mm sewn prusik cords around but these are designed to be used with 11mm static ropes which are more common in organized rescue, rope access, etc. Cons: Harder to find but Liberty Mountian carries it so your local gear store should be able to bring it in. Overall: A fantastic prusik and my personal favorite. Sterling’s HollowBlock is a 6.8mm somewhat square shaped hollow braid of aramid fiber that’s sewn into a loop. As it’s made entirely of aramid fiber it doesn’t melt and is abrasion resistant. The HollowBlock comes in two lengths: a 13.5” (34cm) and a 19” (48cm) and has a breaking strength of 14kN. I find that the 34cm length works best for a traditional prussic, the 48cm length is better for a french prusik or klemheist. 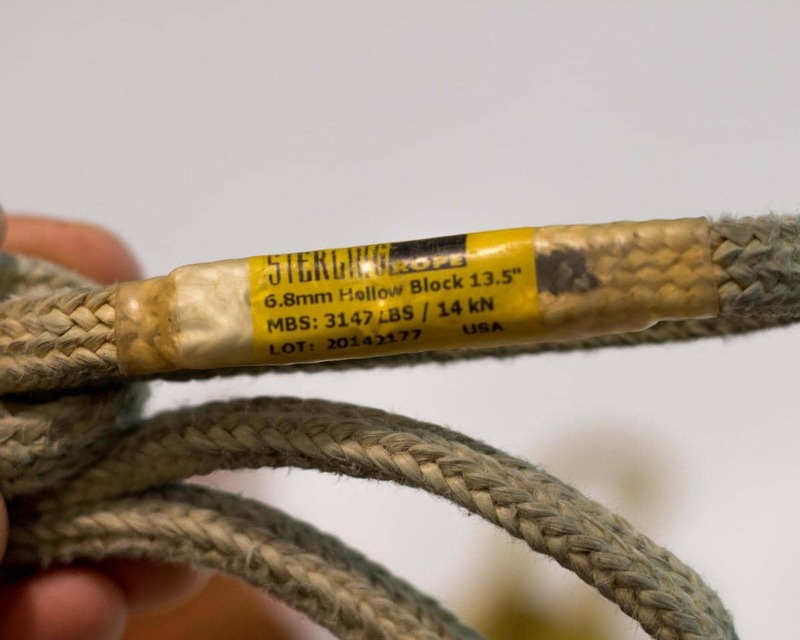 The HollowBlock works great for a wide range of rope sizes but can be a little less predictable than a cord. The only downside that I’ve found with the HollowBlock is that it can slip if the prusik or hitch isn’t well dressed. Not a big deal if you’re aware of it, are careful to dress the hitch nicely and keep it from getting bunched up with use. Overall: A great personal prusik so long as it’s carefully managed and the prusik isn’t allowed to bunch up. When it comes to a personal prusik my favorite is the 35cm Beal Jammy as it’s supple, easy to use and works over a wide range of rope sizes. Of course I typically carry a longer 5m accessory cord with me as well as I discuss in the Essential Gear for Multi-Pitching article. The key there is to find some soft and supple accessory cord. I hope you’ve enjoyed the article. If you have any comments or questions please feel free to leave them here or email me. Disclaimer: So just because you read the above rant about prusik cords doesn’t make you an expert (or even competent for that matter) nor do I claim to know how your gear will react under different circumstances. Also, rock climbing, alpine climbing, mountaineering, etc. is dangerous so be careful out there and if you have questions consult an IFMGA certified guide and always follow the manufactures recommendations. Oh, and play safe!